I'm writing this in the warm winter sunshine in Brisbane, Australia. It's been quite a tour so far, and there's so much to tell you about: koalas, kangaroos, beaches, opening nights, black tie events and so much more! Our first week here at Queensland Performing Arts Centre (QPAC) was all about Wayne McGregor’s moving Woolf Works starring the incomparable Alessandra Ferri and Mara Galeazzi. Opening night rolled around and the audience loved it. Our incredible hosts threw us a glorious black tie party to celebrate The Royal Ballet gracing the QPAC stage for the first time since 2002. 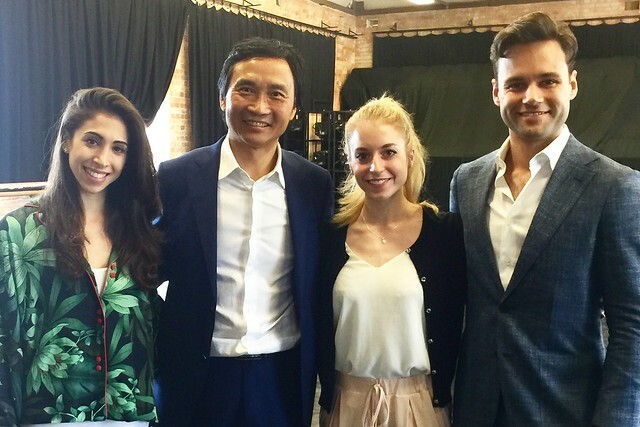 We also had a taster of life in another dance company as Queensland Ballet invited a few of us to take class with them and watch a rehearsal coached by their director, the legendary Li Cunxin - the inspiration behind the film Mao's Last Dancer. They were so welcoming and made us feel right at home. After Woolf Works came to a close, it was time to rev up for Christopher Wheeldon’s magical portrayal of The Winter’s Tale. Opening night was a roaring success and the atmosphere was buzzing. We celebrated with another black tie party and used up the rest of our energy on the dance floor! At the end of a long Season, a bit of time off is greatly valued and QPAC graciously arranged an excursion to the Lone Pine Koala Sanctuary where we spent half a day basking in the sun with roos and holding cuddly (if and somewhat smelly) koalas. It was a day to remember. I even managed to FaceTime my sister all the way in New York City from the kangaroo pen so she could enjoy the rare opportunity with me. From there, we went up Mount Coot-tha and saw Brisbane from above. After Brisbane, I'll be heading off to Cairns with a smaller group of dancers for a gala performance. It’s a marathon of a show for me with Ashton’s Voices of Spring and George Balanchine’s Tarantella. I can't wait to perform there and then head off to explore the Great Barrier Reef! It's nearly showtime for me so I’d better get into hair and makeup! 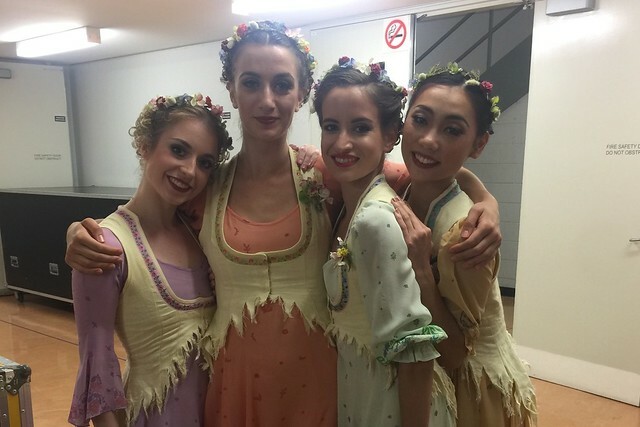 Hope you've enjoyed reading a bit about what The Royal Ballet has been up to while away from London. See you back in the UK next Season! Thanks Meaghan, I enjoyed reading this. What a fabulous opportunity for you all and so different from London? Enjoy your break and look forward to the new season. great to read your thoughts on Oz - very jealous about cuddling a koala (didn't realise they were smelly). Look forward to seeing you at ROH in the autumn!